Second: “Poison Ivy Survival and Remedies.” (Click that link for the full article, which includes info about habitat, identification, dangers, and treatments for poison ivy problems). 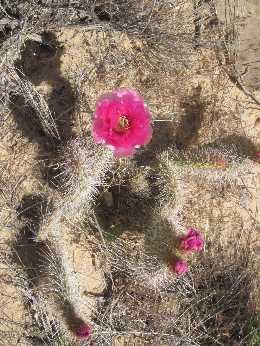 I just posted an article about four common edible plants on the About.com Survival Skills site. Yes–plants such as dandelions, clovers, cattails, and nettles can help give you energy in a survival situation, but many of these common edible plants can also be good–or even really, really good–to eat when you prepare them in your own kitchen. Wild plant recipes abound, but I wanted to share a few here that relate to the common edible plants I just wrote about. For a lot more information about how to harvest and prepare stinging nettles, click here to view the nettle information on the About.com Local Foods site. One recipe I wanted to highlight: Stinging Nettle Pizza, described as having an “earthy yet nutty flavor” with bubbly cheese that’s melted on a sizzling pizza. Yum! Clover leaves and flowers can make a nice addition to any salad, but I found a website page devoted entirely to red clover recipes. The recipes range from red clover cocktail infusions to the red clover pancakes and red clover almond biscuits. Try out one of these recipes, or leave a comment here to share some of your favorite edible plant recipes. Want to know more about common edible plants? 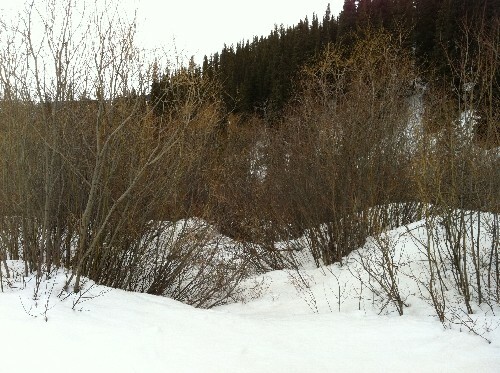 Wet avalanches, sometimes called wet-snow or wet loose-snow avalanches, occur more frequently in the springtime as temperatures rise rapidly and saturate the winter snowpack with water. Avalanches can be destructive at any time of the year, but when wet slides occur, they often move slower than their lighter winter counterparts; however, their increased water weight makes them have a high destructive force. Want to know more about wet snow avalanches? I recently went hiking in one of my favorite spots in the San Isabel National Forest near Leadville, Colorado. I didn’t quite know what to expect since I hadn’t been there in a while, but I thought that I’d find some combination of mud, snow, and ice. And that’s exactly what I found. The lower portion of the trail was sloppy and slippery with mud. But then as I got higher, the mud turned to snow, and I needed to put on my showshoes to prevent post-holing and breaking through the unstable crust. When I came to the Buckeye Creek crossing, the water was still entirely covered with snow and ice (see photo, above right), but I could hear the moving water gurgling underneath as I approached. I could see recent ski and snowmobile tracks going over the crossing, but I still checked the area carefully before crossing on foot. 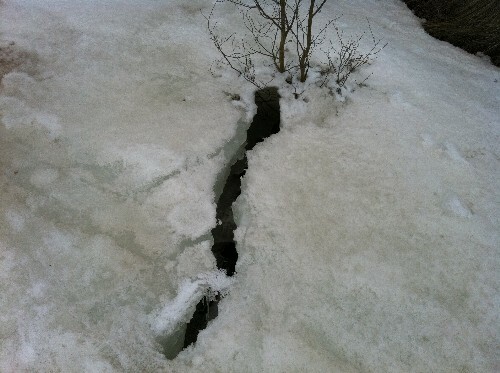 I also crossed a deep, clean crack through in the snow. I peered through the crack and saw the water flowing about three feet below. 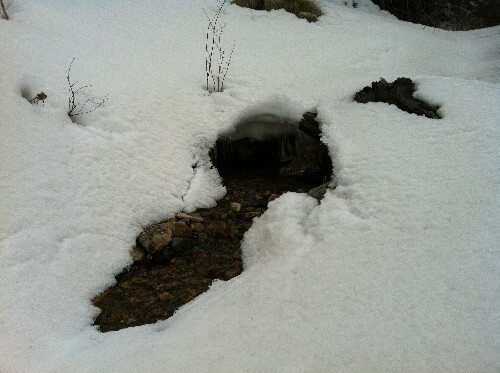 Buckeye Creek also flows through an obvious ravine, and I could hear the water flowing underneath the snow and ice. All of these clues, including local knowledge, helped me hike safely through the area. 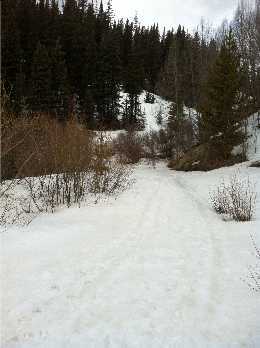 Want to know more about icy water crossings?